Riding on a high way for the first time usually end up badly for a novice. It could be as a result of panic, inexperience or even carelessness. Whatever the case, it is important that you get prepared before riding on a high way as a first timer. If this is your first time riding on a highway, here are some tips to ensure safe riding. Without gasoline, your bike will remain idle. Before running on a high way for the first time, you want to make sure that your fuel is gaged and that your fuel filter is not clogged. A dirty fuel filter can easily pollute gasoline. If you have parked your motorcycle for over 60 days, take note that gasoline will start to wear down and begin to accumulate sediment in the fuel tank. In this case, make sure you drain the fuel and change accordingly. Depending on manufacturer and usage, motorcycle oil should be changed oil after every 3000 miles. The kind of oil your motorcycle needs depends on the manufacturer. If you don’t know how to change oil or you aren’t sure the type of oil to use, it is OK to visit a mechanic. When riding on a high way, always keep in mind that you aren’t the only road user. Other vehicles like cars, buses, and even trucks would most likely be driving faster. Remember to stick to your lane to avoid accidents. The wheels of your bike should be properly inspected for wear and depth. Check your rims for damage and assess your tires to know whether they are properly inflated. If they are not, you will have to inflate it. Take note that under-inflation or over-inflation can be quite dangerous on a high way. An unusual wear on your tires can be identified with low front tire pressure. If you don’t know how to go about this procedure, take a few minutes to check with your manufacturer’s manual or simply visit a mechanic for assistance. Brakes are essential components to ensure safe riding on a high way. They can be the difference between life and death. 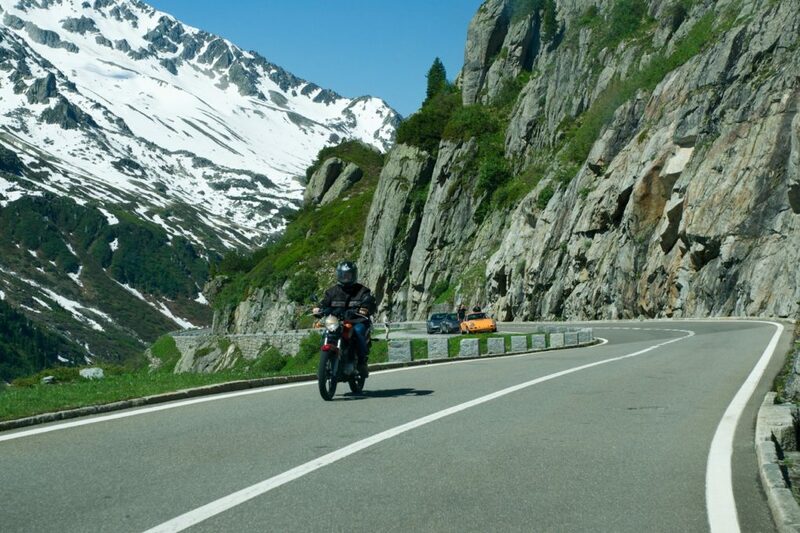 Brake failures have been accounted for a large number of motorcycle accidents in the UK. Don’t be careless and never be in a hurry to check this safety component. You should regularly inspect the brake pads and make sure that you replace them when they wear. It is risky and dangerous to ride on a high way without any safety gear. Motorcycle gears are safety wears/devices that can help to protect your body while riding. These gears offer maximum protection on the high way. Investing in motorcycle boots, leather pants and jackets are a great way to preserve yourself from road hazards. To ensure good visibility (at night), it is a good idea that you wear a reflective jacket. A motorcycle helmet is another important gear that can protect your head from any impact from a crash. Motorcycle gear come in different patterns, styles, sizes, and designs for you to choose from. Browse for your preferred option from this list.